How to contact Massimo Polidoro. Ask Massimo Polidoro. Visitors can ask questions to Massimo and you can read both Q&A here. 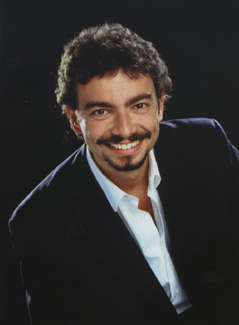 Massimo Polidoro, co-founder and Executive Director of CICAP (The Italian Committee for the Investigation of Claims of the Paranormal), is one of the foremost investigators on the paranormal and the occult. Psychologist, author and magic expert Massimo also teaches a Course in "Scientific Method, Pseudoscience and Anomalistic Psychology" at the Faculty of Psychology, University of Milano-Bicocca (Italy). Thanks to a grant by Italian science journalist Piero Angela, Massimo was able to study for over a year in the United States with James "The Amazing" Randi, famous magician and the greatest investigator of psychic claims. Back in Italy, Massimo graduated in Psychology from the University of Padua and specialized in Anomalistic Psychology and in the Psychology of Deception. Thanks to his background, it is now many years that Massimo investigates claims of psychic powers. Since 1989 he is the Editor of "Scienza & Paranormale" (Science and the Paranormal), the magazine of CICAP, since 1996 he is the European Representative to the James Randi Educational Foundation and in 2004 he started Magia, a magazine devoted to the conjuring arts. In 2001 he was elected Fellow of the Committee for the Scientific Investigation of Claims of the Paranormal (CSICOP) and member of the Board of the European Council of Skeptical Organisations (ECSO). He is the author of over 20 books and nearly 400 articles dealing with science and the paranormal; he contributes to various magazines and for "The Skeptical Inquirer" he writes a column, "Notes on a Strange World", previously authored by Martin Gardner. Among his books: Final Séance (2001), Secrets of the Psychics (2003) and, in Italian, Il sesto senso (The Sixth Sense, 2000), Investigatori dell’occulto (Psychic Investigators, 2001), Il grande Houdini (The Great Houdini, 2001), Grandi misteri della storia (Great Mysteries of the Past, 2002), Gli enigmi della storia (Enigmas of the Past, 2003), Grandi gialli della storia (Historical Crimes and Mysteries, 2004). He often works on TV: both as a consultant and, in video, as a talk-show expert and as a presenter. He is currently filming a 6 part series for Discovery Channel Europe titled Legend Detectives (airing Fall 2005). He frequently lectures around the world on subjects that range from the Psychology of anomalous experiences to the tricks of psychic deceivers, from the feats of Houdini to the mysteries of the past. He is often called in as a teacher in University seminars that deal with the methods of science, and as a consultant for science fairs (as in MosaicoScienze), science parks (as in Experimenta03) and multimedia projects.